If you click consistently — and you can vote once a day — the folks at Save the Tabor can win $150,000 toward rehabilitating their national icon. Vote through Oct. 26. Pretend it’s a Chicago election and vote early and often. It’s not complicated: The one with the most votes wins the money. 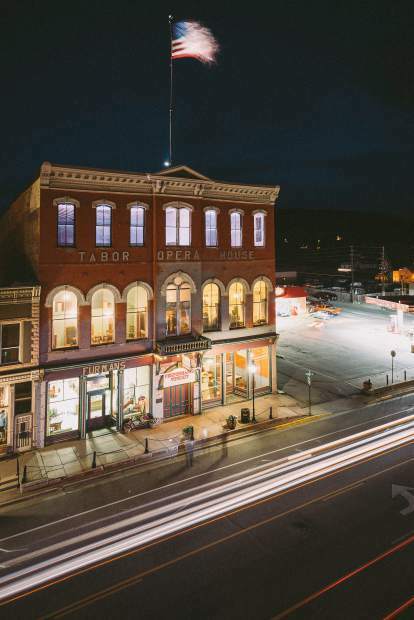 “We are thrilled that this preservation competition will bring awareness to Leadville’s historic district and, if we win, the funds earned will help us preserve the facade of the Tabor Opera House for generations to come,” said Stephanie Spong, Tabor Opera House Preservation Foundation board president. Their Tabor, because people feel that way. Steuver brought the proposal to Leadville City Council. The decision was not without debate, but the council took the bull by the horns to try to raise the money to buy the Tabor. That was October 2015.